The Persian Puzzle: the Conflict between Iran and America. It&apos;s a book that discusses the roller-coaster relationship between the United States and Iran and offers recommendations to both countries (mostly the US) on how to improve relations. As a former National Security Council official, Pollack presents an “insiders” look into American foreign relations with Iran. This view, however, is simply a common sense approach to world affairs. But Pollack&apos;s book does more than outline the history of a tumultuous relationship; it forces on the reader a set of questions that challenge ideas about identity and national allegiance (whether or not it was his intention is up for debate). And the end result for me, and I&apos;m sure for many young Iranian-Americans, is discomfort and uncertainty. 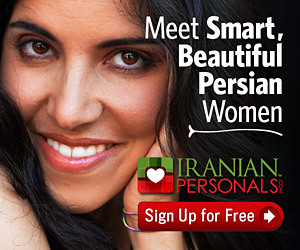 It would be impossible to find two Iranians who describe their identity equally. Whether you came here twenty-five years ago or yesterday, at the age of two or thirty, how much “Iranian” you put in the “Iranian-American” is ever changing. I do my best to keep it 50/50. My culture and values come from my family — which, for me, is synonymous with Iran. Though I was raised in the United States, my parents and their parents came of age in Iran. And the principles they&apos;ve passed along to their children come from a long, several millennia old tradition of Iranian culture and heritage. It&apos;s something most every Iranian is proud of and has served as a unifier in Iranian history and the many Iranian Diasporas around the world. However, like many children of revolution-era migrants in America, I have an unwavering allegiance to the United States. Though my impact on American foreign policy is non-existent, I always support any course of action that is in the best national interests of the United States. And that, at many times, comes into conflict with the other half of my identity. More often than we&apos;d like, the best interests of the US result in the worst outcome for Iran. A brief survey of Iranian-American relations during the second half of the 20th century serves as an easy reminder of this reality. Of course, many propose courses of action that serve both nations&apos; interests equally. But human history has proven time and time again that the dream of equality among nations is nothing more than that — a dream. The fact of the matter is that Iran and America can never be life long friends, just like any two nations cannot remain cordial forever. Nations have interests; at times they bring the two together and at times they make war. How, then, can Iranian-Americans find a happy medium in the world of realpolitic? It&apos;s safe to say that the United States position towards Iran has failed. Not only has the US lost what is arguably the most important country in the Middle East as an ally, it has sat idly by while growing US enemies make themselves at home in Iran. Unfortunately, the American public doesn&apos;t care either. And with the nuclear issue on every front page, the American public is still losing sight of the bigger picture. Fortunately, however, a few heads were turned last year and Pollack does a nice job outlining the new threats. The geopolitical earthquake that took place with the 2005 Iran-China US$ 100 billion, 25-year LNG deal forced many Washington thinkers to consider a new approach. Should the US remove sanctions? Should the US better ties with Iran for the sake of slowing Asian powerhouse economies? These questions have been on the table for a decade, but are now being seriously considered. Yet, regardless of how US policy makers answer these questions, one fact remains: In the long term, a globally weak, but regionally strong Iran is the best scenario US policy makers could want. American interests are best served with a strong Middle Eastern Iran to exert influence in the region (i.e. the Shah&apos;s era), and a weak global Iran that that can be exploited by the world&apos;s superpowers (i.e. the Shah&apos;s era). But how can Iranian-Americans be happy about any of this? As much as Iranians abroad want democracy and freedom in their homeland, the world&apos;s powers are working against them (as are many Iranians themselves). You can&apos;t help but think that the US loves Ahmadinejad for creating an environment in which the world&apos;s most talented and brightest minds cannot create industries other than oil that will play a hand in the world economy. Ahmadinejad joins Khomeini and Khamenei, among countless others, in promoting backwards thinking that discourages and halts any real progress. The alternative to these zealots is obvious. Had Iran avoided its revolution and eight-year war, the country today would be as powerful as any Western European nation. And that&apos;s the last thing any Western nation would want. Thus, the dream of a democratic, free and prosperous Iran is so far fetched that at least one side of the Iranian-American will pay a heavy price. Pollack&apos;s book made me think about my identity while considering national interests. I&apos;m sure many Iranian-Americans ponder these thoughts, too. We have so much to be grateful for — after all, the US has given Iranians so much more than Iran could. But at the same token, without our culture and traditions, we&apos;d be just another dull, boring group with nothing unique to offer the world. With this in mind, which would you rather have? A powerful United States that exploits the rest of the world to make our lives very comfortable at home; or a strong and free Iran that does not pander to the world&apos;s powers. The jury is still out for me; but I know that regardless of the ups and downs of Iranian-American relations, one of the two will lose. And I&apos;d rather not be in the middle when that happens. Mazi Bahadori graduated from UC Berkeley with a degree in history and is a Congressional Intern. He was born in Iran and raised in the U.S.